If anybody understands the difficult of studying LSD’s effects on humans, David Nutt does. In the US and the UK, this psychedelic is a Schedule I drug, the most dangerous category, which means even a scientist at one of the top universities in the world can’t get money from research-funding bodies. So Nutt, a researcher at Imperial College London, had to crowdfund his latest study. On Walacea, a kind of Kickstarter for science, Nutt made the pitch: “Psychedelics have been part of human culture … LSD is one of the most important drugs ever studied … our research is one of the most important studies in brain science … [LSD research] has had the worst censorship of science there has ever been, and I want to rectify that.” The project raised nearly £55,000 from 1,600 backers, more than double the goal, making it Walacea’s largest and most successfully funded project to date. With additional money from non-governmental charities Beckley Foundation and Safra Foundation, Nutt was able to complete the study. LSD became a star of 1960s counterculture because of its potent hallucinogenic effects. It was banned for political reasons, becoming a target of US president Richard Nixon’s “war on drugs.” But before the ban, research in the 1950s and 1960s had hinted at LSD’s value as a possible treatment for mood disorders, addictions, and other mental-health problems. 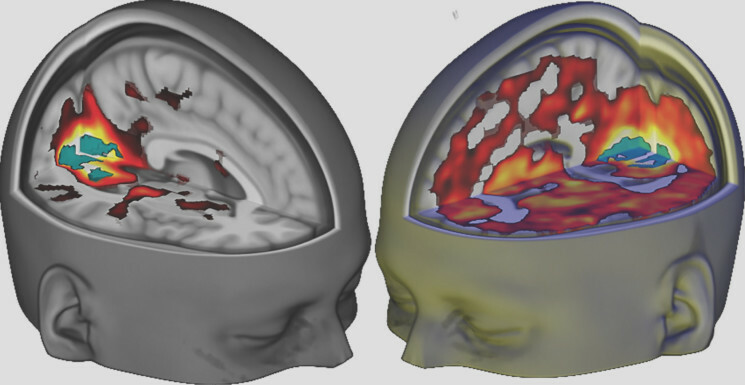 Nutt’s study, published on April 11, was the first to use brain imaging to show the effects of LSD, and produced some spectacular pictures. More concretely, it showed that the drug weakens the rhythm of alpha brainwaves, which are known to be stronger in humans than other animals, and are considered a signature of high-level consciousness. The study also found that LSD causes brain activity to become less co-ordinated in regions that make up the brain’s “default mode network,” which is responsible for maintaining a stable sense of self. The greater the drug’s effect on the brain, the more participants experienced ego-dissolution, where the self melds with world around you. Further research is needed, but, Nutt says, it’s extremely difficult to conduct. Even if he can keep getting crowdfunding, he needs to pay a hefty annual fee for a special license to work on illegal drugs. Acquiring medical-grade LSD, even for legal purposes, is also a challenge. “Scientists are scared that if they work in this field they’ll be stigmatized,” Nutt told New Scientist. “There’s this enormous terror that pervades everywhere. If you work with illegal drugs, you’re seen as an outsider, as complicit in breaking the law.” Nutt knows the fear well: He was sacked as the British government’s chief drug advisor in 2009 when he said that LSD was less dangerous than alcohol.